Economic development and improvement of people's lives are the top priority for China and the nation does not spend a lot on national defence, Minister of Defence Cao Gangchuan said yesterday in Beijing. The total defence expenditure for this year, calculated under the new exchange rate, is US$30.2 billion, said Cao. "That is, indeed, the true budget," Cao said at a joint press conference with visiting US Defence Secretary Donald Rumsfeld. 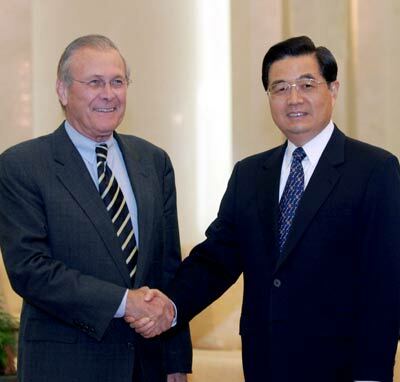 Chinese President Hu Jintao told Rumsfeld that improving Sino-US military ties would benefit the broader relationship between the two nations, and intensive and candid talks would help the military forces of the two big countries, and help the overall bilateral political relationship. Rumsfeld became the first American defense secretary to visit the headquarters of China's strategic missile fleet in northern Beijing. The visit to the previously off-limits missile headquarters was viewed by Pentagon officials as an important opening, and as an indication of a willingness by Chinese military to engage with the Pentagon. Cao was responding to a journalist who asked if China has under-reported its defence budget. 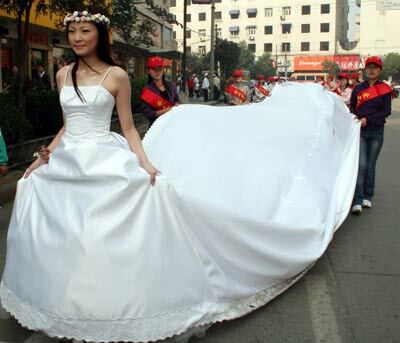 The nation's primary task is economic development because nearly 30 million Chinese still live in poverty, Cao said. 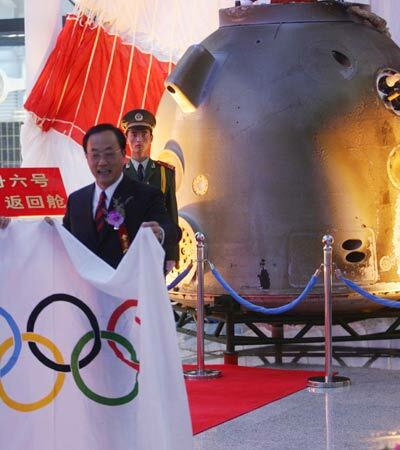 He said that some expenditure, such as that on the manned Shenzhou VI space mission, had not been included in the defence budget this year. The Pentagon, whose budget is several times bigger, has expressed concern about China's military development. It last summer inflated the figure for China's military spending this year to US$90 billion. Rumsfeld, who arrived in Beijing on Tuesday for a three-day visit, yesterday met President Hu Jintao, also chairman of the Central Military Commission (CMC); Cao and Guo Boxiong, both CMC vice-chairmen; and Jing Zhiyuan, commander of the Second Artillery Force.